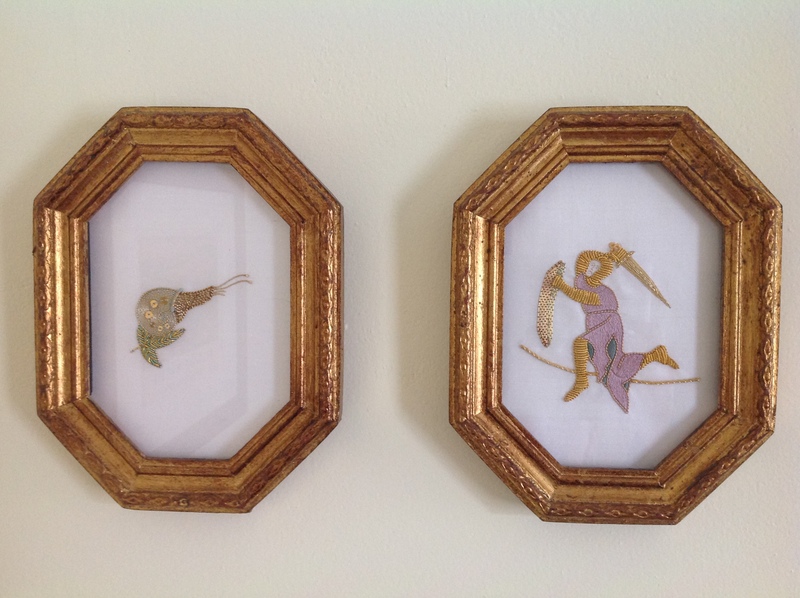 A couple of years ago, I embroidered a goldwork knight and a snail from the 14th Century Gorleston Psalter. 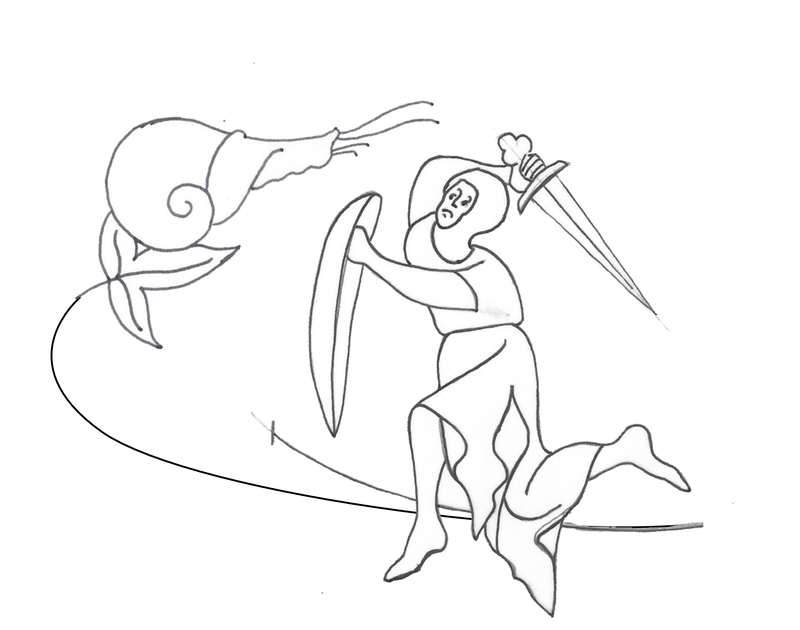 The knight fighting, and ultimately losing, to the snail is one of many themes in the psalter’s marginalia, as well as in other manuscripts of the time. 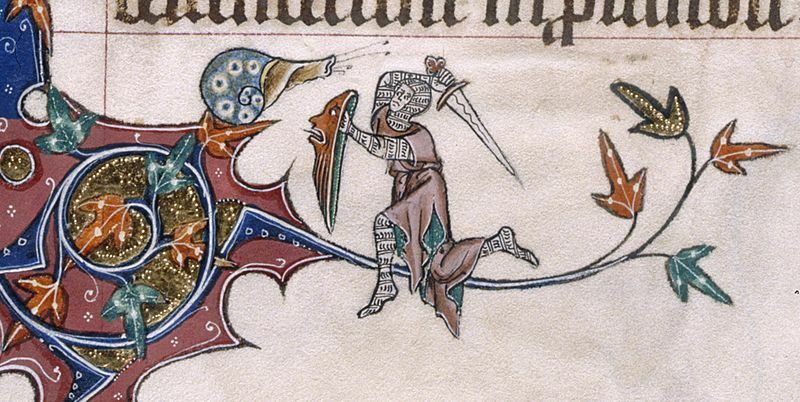 No one quite knows why knights fight snails, but given the scribes’ tendency towards bizarre marginalia we can only assume that there was something in their water. I learnt a lot from this project, including that if I’m not going the custom-frame route I should buy the frames first so that I can make sure that the design is positioned to its best advantage on the fabric before I start. You can’t fix this stuff afterwards. 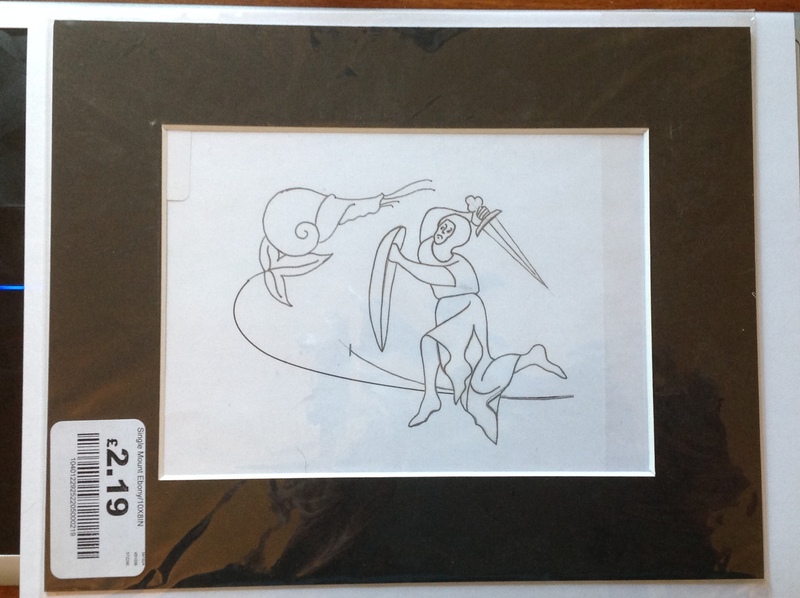 However, it’s the first time I’ve ever framed something that I’ve made, so it’s a small niggle. Anyway, a friend of mine asked if I’d be able to make her a version, though not in goldwork, just in silk. I’ve been putting it off for no good reason, but now is the time to get it done! The first task, and today’s task, was to get the patterns I’d drawn for the knight and snail into one document, properly positioned and get some kind of joining line between them. Ignore the strange, upwards line below the shield, that’s a remnant from the earlier pattern. The next thing is to figure out if I want leaves on that vine, and whether I want that vine to be quite that smooth. Might need some feedback from my friend for that, but I’m happy to have made a start on my too-old promise.